Picking out the right garage door can be a little overwhelming, but at We Fix Ugly Doors, we are here to make that process an easy one. We will come out to your home at no charge to you and take all the measurements for you, so we take the guessing work out for you. Once we have all the right measurements, we can then find the right garage door for you. You can pick the design, color and style right in the comfort of your own home. We work with all the major brands, so we have a wide range of garage doors to choose from. Weather you are looking to sell your home or just moving in. Right now, is a great time to upgrade your home's curb appeal. 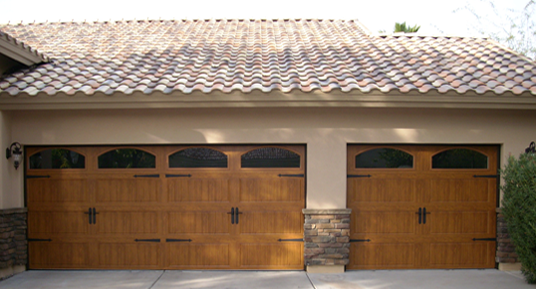 With home values on the rise, a beautiful new garage door can boost the value of your home. As hot as it gets in Phoenix Arizona, you are going to want to add insulation to your garage door. Once you have picked out your new garage door, we will remove the old garage door and a factory trained technician will install the new garage door. Our highly trained technicians are very knowlageable and professional. We pride oursleves in getting the job done right the first time. That is why our trucks are always fully stocked, so we can replace your garage door in a short period of time.